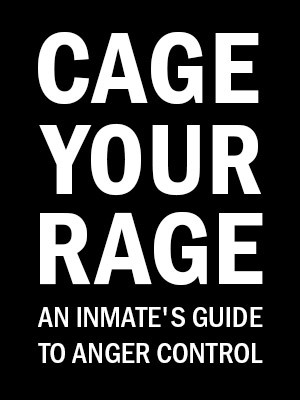 This interactive package (4 Videos and Workbooks) was developed by the American Correctional Association to help inmates better control their anger and other volatile emotions. Utilizing dramatic scenes of anger leading to loss of control, viewers learn how to recognize rage coming up, know what’s behind it, and have techniques to manage it. CAGE YOUR RAGE offers inmates the skills necessary for surviving inside and – most importantly – for successfully re-entering the community. PLUS a Leader’s Guide designed to help the non-mental health professional conduct the course using the video and workbooks. At the time of purchase, you may also buy 10 workbooks (in English or Spanish) for $9.50 each – regularly $25.00 (or in a bundle of 5 English and 5 Spanish), so cost for the program plus 10 workbooks @ $570.